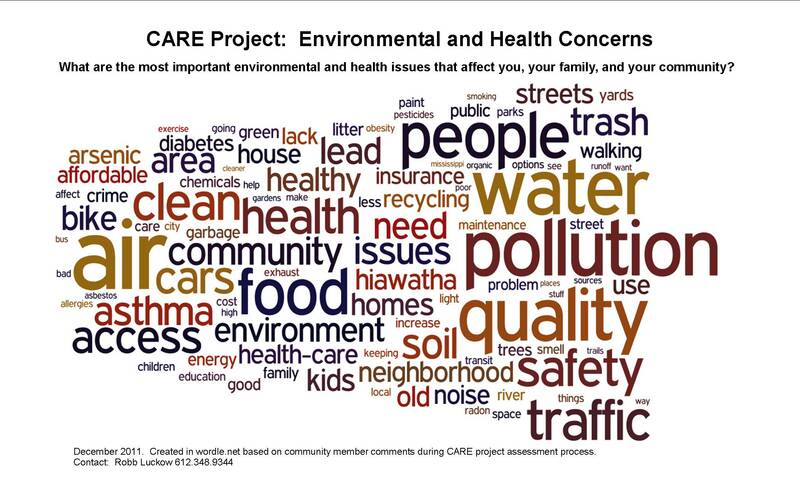 During summer 2011, we asked community members in the project area to identify the most important environmental and health issues that affected them, their family and their community. The word cloud below gives a sense of the things people said. Based on community comments, we identified the 24 issues that represent the diversity of their concerns. Those issues are listed below.